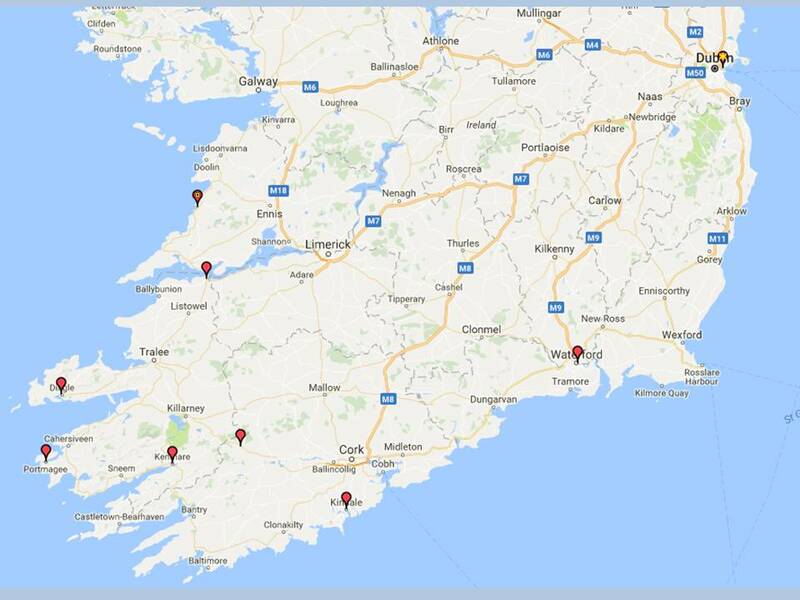 This tour heads south to Waterford for our first hotel. Leaving Waterford we ride via the Copper Coast to Kinsale the start of the Wild Atlantic Way. We go across the Cork & Kerry Mountains via the Healy Pass and out west to Dingle and Slea Head. We spend 2 nights in Cork/Kerry. On the next day we ride around the Ring of Kerry, the picturesque loop at the heart of County Kerry. Get ready to experience Ireland at its wildest. After leaving Kerry we ride up the coast of Clare for our last night on tour. Note: Routes may vary due to local conditions. 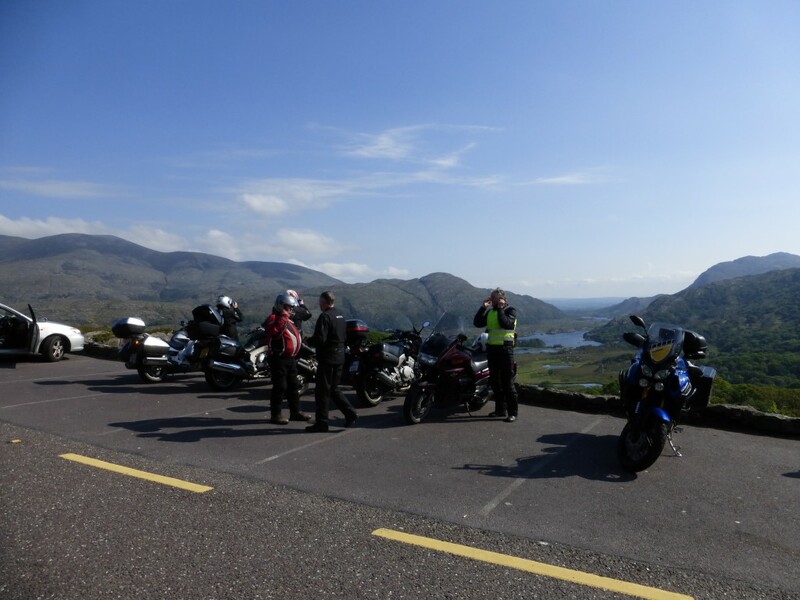 This five day guided WildIrish Motorcycle Tour will give you a taste for the South West of Ireland, encouraging you to return and cover the whole 2500km of the route if you wish. We travel on the best biker roads in the west, avoiding traffic as much as possible. Co. Waterford, Co. Cork/Kerry & Co. Clare. The Copper Coast, The Healy Pass, Slea Head, Conor Pass, the Ring of Kerry & the Burren. Route maps and tour information (PDF format). 4 nights bed and breakfast in 3 or 4 star hotels. Note: PPS = per person sharing. Self-Guided Tours can be customised to suit your needs. This may affect the price. Single rooms are limited and cannot be guaranteed. Guided tours ideally have a minimum of 4 people and a maximum of 10 motorcycles. Self-guided tours ideally have a minimum of 4 people. Club tours ideally have a minimum of 20 people.